Take several head shots (face forward) and several full body shots of your Canine Community Reporter(s) . Then take a Video of what you do. Submit at least one Story per month. All stories MUST BE WRITTEN from your Pet's perspective. Decide what topics you want to report on. Keep in mind we are looking for news that showcases Dogs making a difference in the world. You can also report on other animals as long as a Dog is involved too. You will be an Official Canine Community Reporter. You will receive your Official PRESS PASS Digitally so you can post it on your website and social media sites. Some of your pictures may be selected to be turned into PETographs (Fine Art Creations). If they are you will be notified. You agree to allow these PETographs to be placed on various photo products and become available in our various CCR Shops. All of our Shops donate a % of proceeds to help the Animals. You will receive a 10% commission on any items sold with your pictures on them. 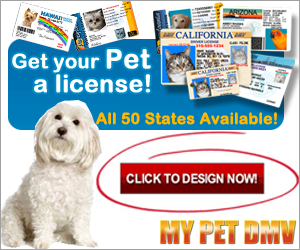 You will be eligible to participate in our Canine Marketing programs where you will make money on items sold in our shops and commissioned business programs. You Ready to be a Canine Community Reporter? OK go ahead!